Toshiba had losses in the North American market from the sale of TVs. Therefore, it was decided to sell the Toshiba television business in North America, which was done at the beginning of 2015. Production facilities (a factory in Mexico) and the right to sell TVs by the Toshiba brand in the US, Canada, Mexico were bought by Compal, which continued production of Toshiba TVs. After the transaction, the TVs are no longer on the official website of the Japanese company Toshiba. The Toshiba brand for TVs is simply operated by the current owner and has nothing to do with the Japanese company Toshiba. The current owner of the Toshiba brand (TVs) simply assembles TV sets using components from different manufacturers. After changing the owner, the number of TV models sold, as well as the quality of the TVs, changed. As a result, if Toshiba in terms of the number of TVs sold in 2014 occupied 8th place with the market at 3.4%. In 2017, Toshiba TVs are no longer in the top ten and sales are about 2% of the TVs sold. In 2018 there are just over 10 models of TVs, and TVs are very mediocre by their technical characteristics. Cheap screens, minimum functionality. 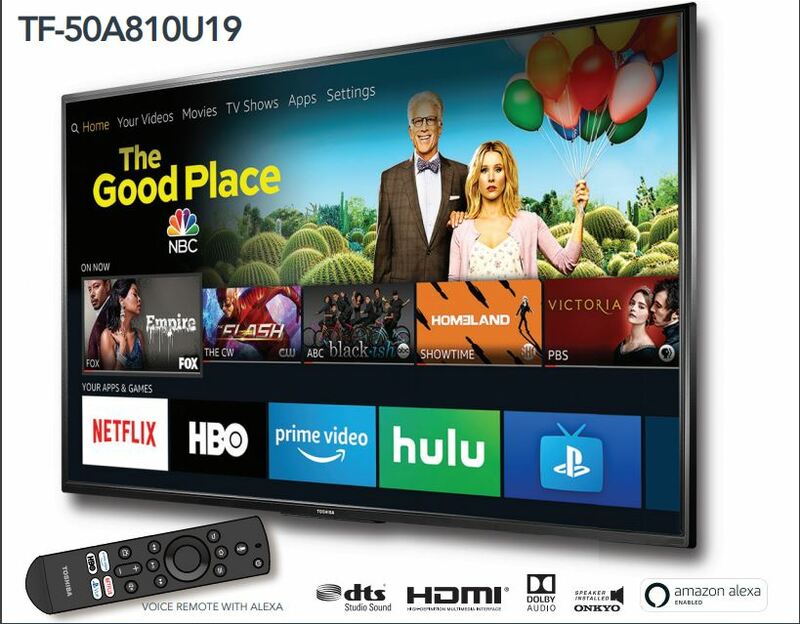 The main advantage advertised is the availability on TVs of Netflix, Prime Video, PlayStation Vue, HBO and Amazon Alexa support. TVs are positioned as cheap equipment. But many people buy TVs remembering the quality and innovative technologies that Toshiba TVs once had. In 2018, the TV series is presented to 12 models, which differ in quality of screens and screen resolution.